Texas has seen 80 percent of its abortion clinics close in the last year, leaving an estimated seven or eight clinics standing in the nation's second-most populous state. Estimates from the Center for Reproductive Rights say that means nearly one million Texas women now live, at minimum, 150 miles from the nearest abortion clinic. For women living in the Rio Grande Valley and West Texas, the miles to an abortion clinic jump to 250 — or more. Many consider this an undue burden on women seeking abortions, but to Texas Attorney General Greg Abbott, the clinic closures are a "manageable inconvenience," proving that the state's motivation for passing its onerous anti-abortion law was anything but women's health and safety. The Center for Reproductive Rights petitioned the Supreme Court more than a week ago, requesting an injunction that would block the ambulatory surgical center provision of HB2. With an injunction reinstated, at least 13 more clinics could open their doors. It is undisputed that the vast majority of Texas residents (more than 83%) still live within comfortable driving distance (150 miles) of an HB2-compliant abortion provider. A very small portion of those 83% live materially further from an open clinic today than they did before HB2 went into effect. Another 6–7% or so live outside that distance for reasons having nothing to do with HB2: They live in Lubbock, Amarillo, or Midland/Odessa, or other far-flung regions of the State where the absence of an abortion provider is not alleged to be caused by HB2. Of the remaining 9.5%, approximately 6.2% live in the Rio Grande Valley in south Texas, from which abortion can be accessed by driving approximately 230–250 miles — an inconvenience, but still a manageable one. Abbott cites the nine cities that had abortion providers prior to the passage of HB2, arguing that only four of those original nine metropolitan areas are now abortion provider-less. 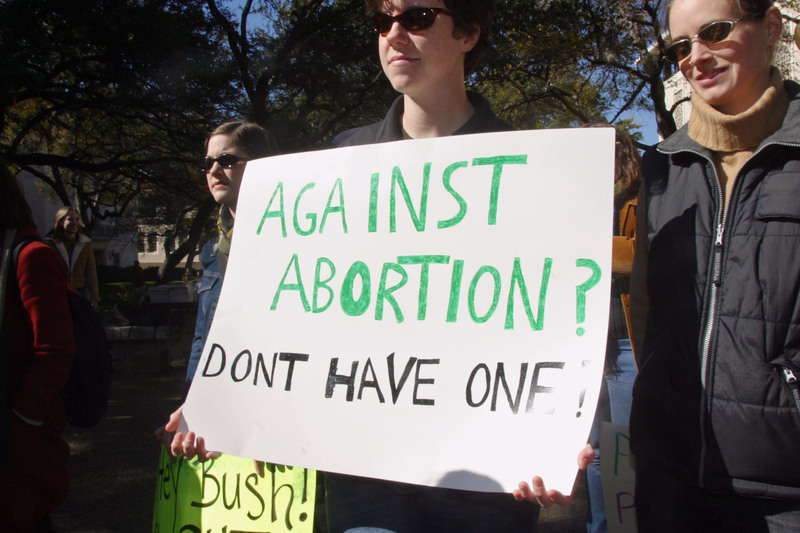 What's the big deal, when major Texas cities Houston, Austin, Dallas and San Antonio still have abortion clinics? As a recent analysis from RH Reality Check pointed out, much of Abbott's and the state of Texas' defense in shuttering clinics largely ignores financial barriers. For the average Rio Grande Valley woman, a trip to San Antonio for an abortion will cost between $1,101 and $1,599. Those prices include not only the cost of the procedure and ultrasound, but gas money, baby sitter wages (for women with children) and a hotel room. For many women in the area — where one-third of the population lives below the poverty line — the entire trip may cost more than one month's wages. Even if, in the slim chance they could travel hundreds of miles, if they could find childcare, get a day off work, assuming that is all possible, undocumented women are terrified of crossing a border checkpoint. Abortion rights supporters and abortion foes have long debated what constitutes as an "undue burden." But one thing is clear: How can a "choice" exist when women are all out of options?